What’s in store for Escape Artists — and for you — in 2015? Listen and find out! This quick episode is a round-up of the results of our recent Metacast to ask for subscriptions and donations hosted by Alasdair Stuart. 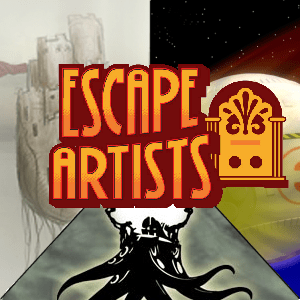 Thank you so much for the initial response to the problems at Escape Artists! 2. Click anywhere on this line for the original 44 minute meta-cast from all three shows explaining this.